I created the following recipe with ingredients that work well together; and the best part of the creation is the presentation. The tort is a savory cheese cake with multiple layers: including sun-dried tomatoes; roasted red peppers; walnut basil pesto and Kalamata olives. The addition of creamy goat cheese pulls it all together. When served with crackers or corn chips, it is a perfect appetizer when having guests. Note: I keep sun-dried tomatoes on hand. I keep them in a jar covered in olive oil with fresh garlic cloves. I use them all the time in salads and pastas. Line a nine inch spring form pan with plastic wrap up the sides leaving a three inch hangover. Chop each ingredient in a food processor, but do not puree. Mix the goat cheese with enough sour cream until the consistency is pour able. Starting with the goat cheese mixture pour ¼ inch into the spring form pan and cover the entire bottom. Next layer the tomatoes spreading it to the perimeters. Pour another layer of the goat cheese. Next spread the roasted red peppers. Spread the remaining goat cheese over the layers reserving 2 tablespoons. The Kalamata olives are the final layer. 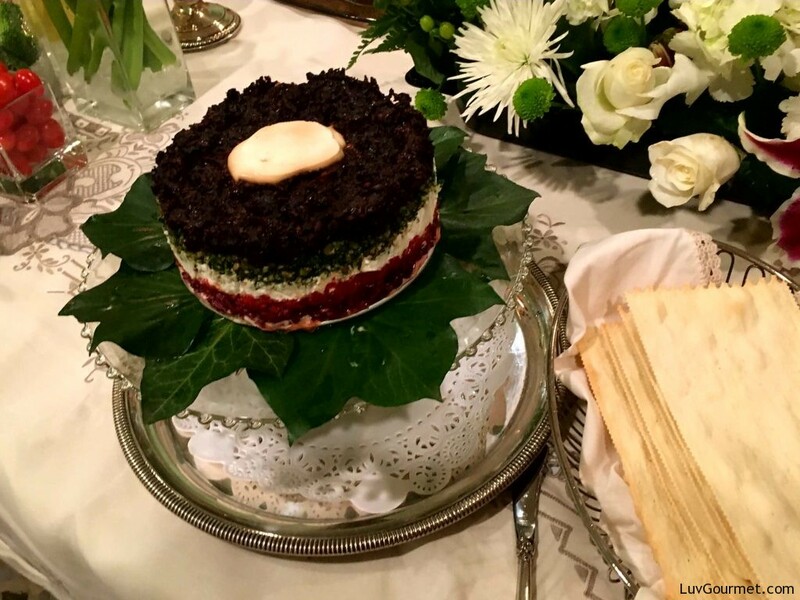 Place remaining 2 tablespoons of the goat cheese mixture in the middle of the tort and decorate with basil leaves to resemble a flower.